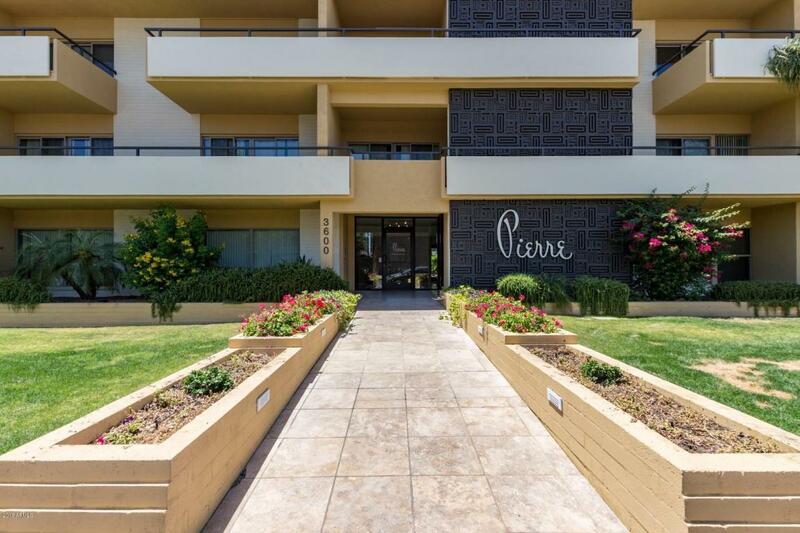 Mid-century modern condo at Pierre on 5th priced well below appraised value! Spacious floor plan includes 2 bedrooms and 2 baths. Eat-in kitchen features updated cabinetry, granite counters, bar area, and all appliances. Formal dining room adjacent to kitchen is large enough to accommodate several guests. 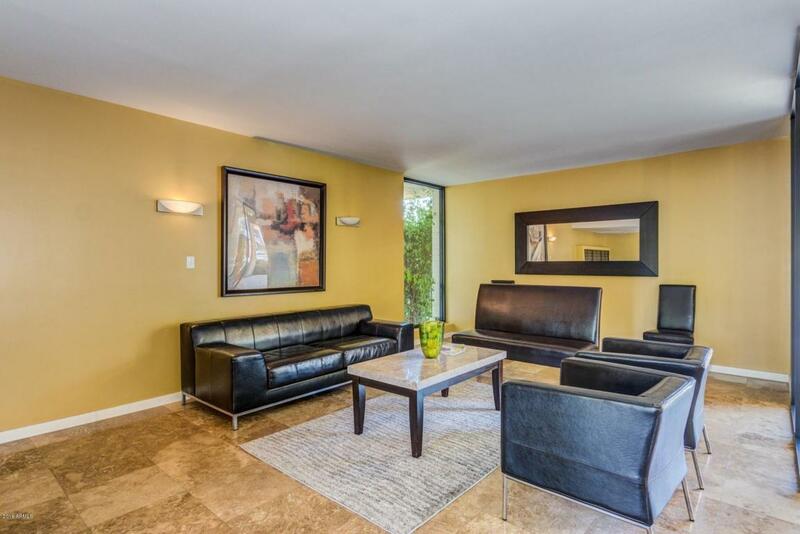 Spacious living area has double sliding doors leading to a private balcony space. Master suite features a private bath with custom tiled walk-in shower, large vanity, plenty of closet space, and a second balcony. In unit washer/dryer included. 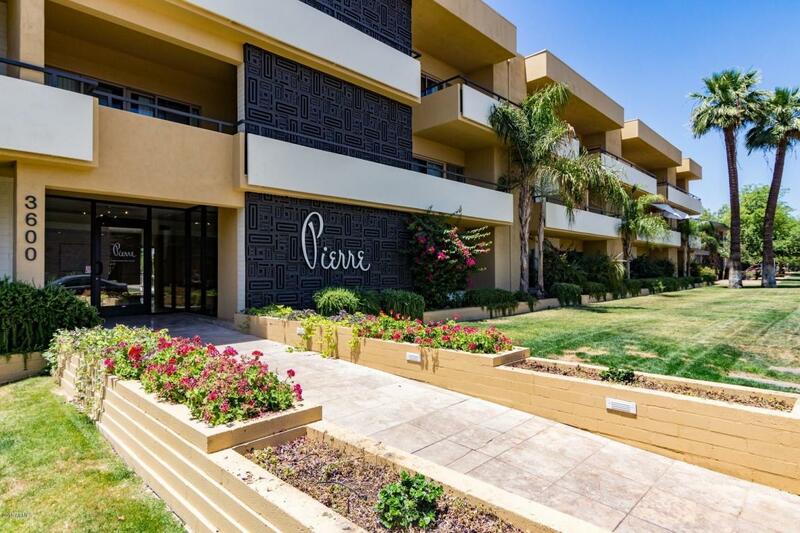 Building offers a secured lobby, elevator, and well manicured grounds surrounding community pool. 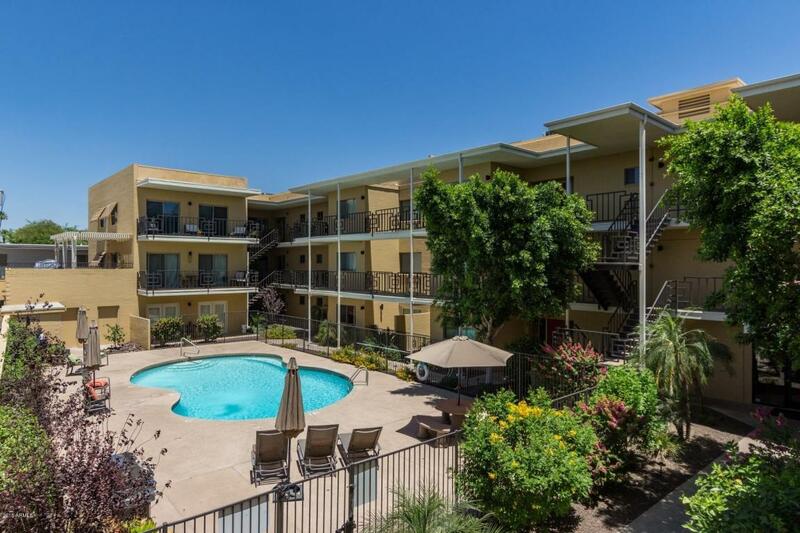 Great Central Phoenix location close to freeways, light rail, dining, and nightlife. A must see!